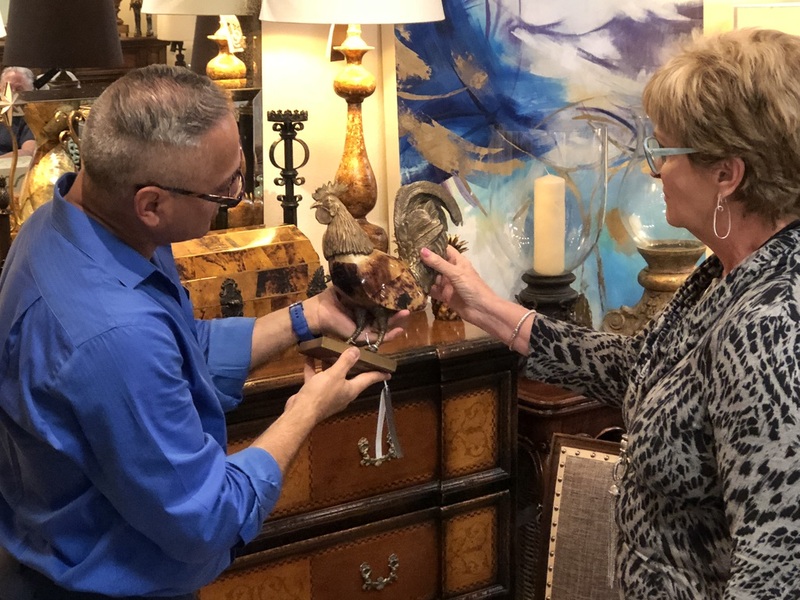 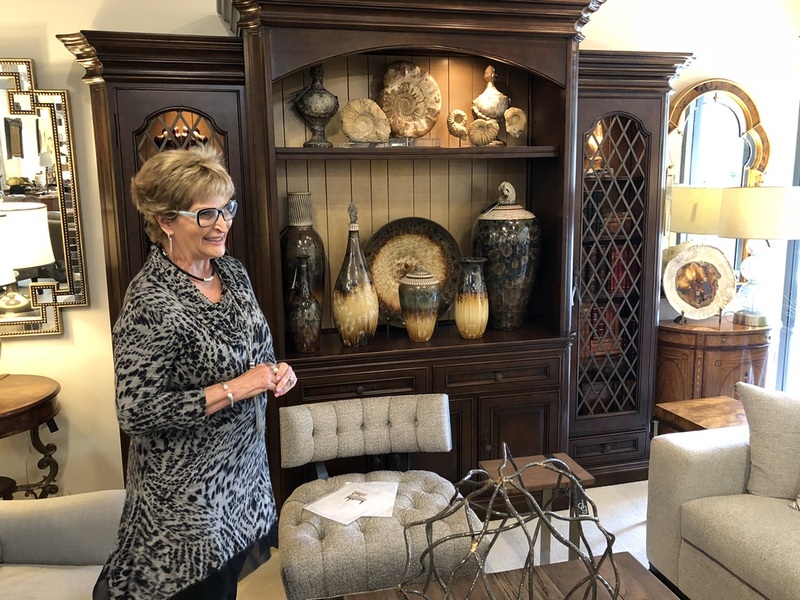 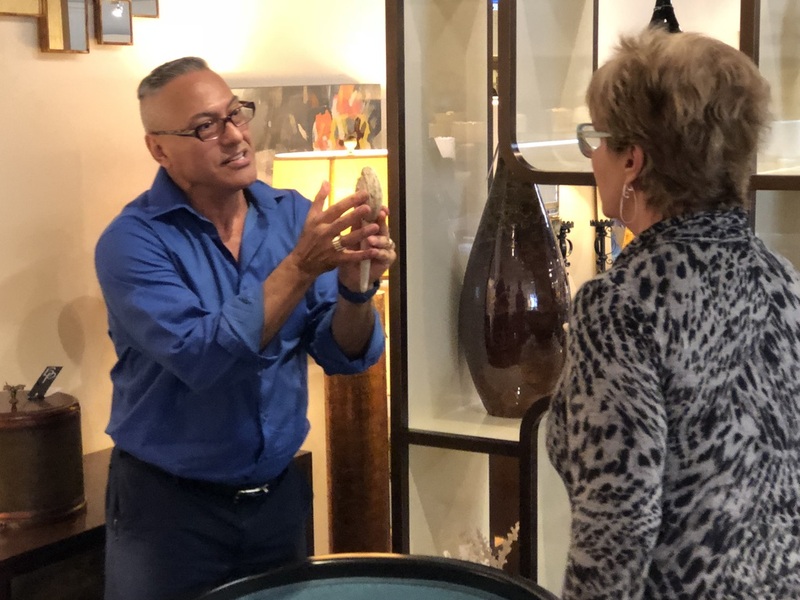 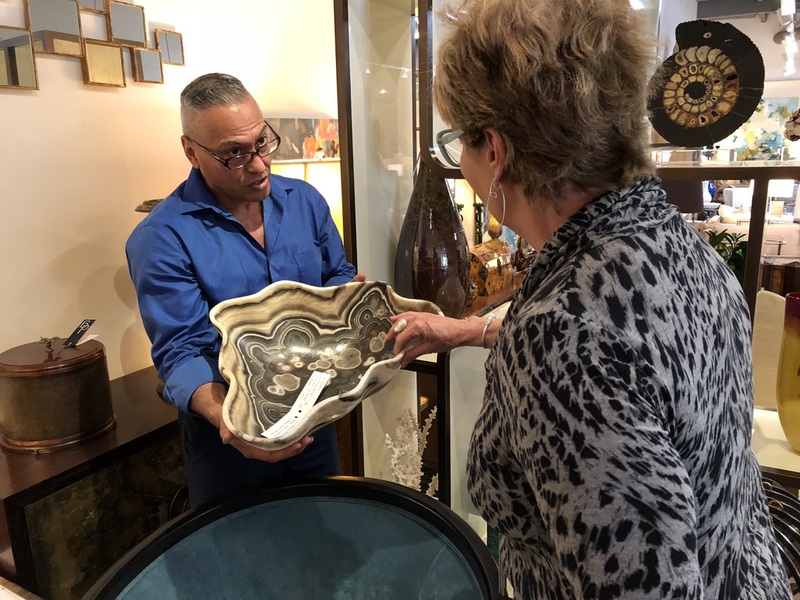 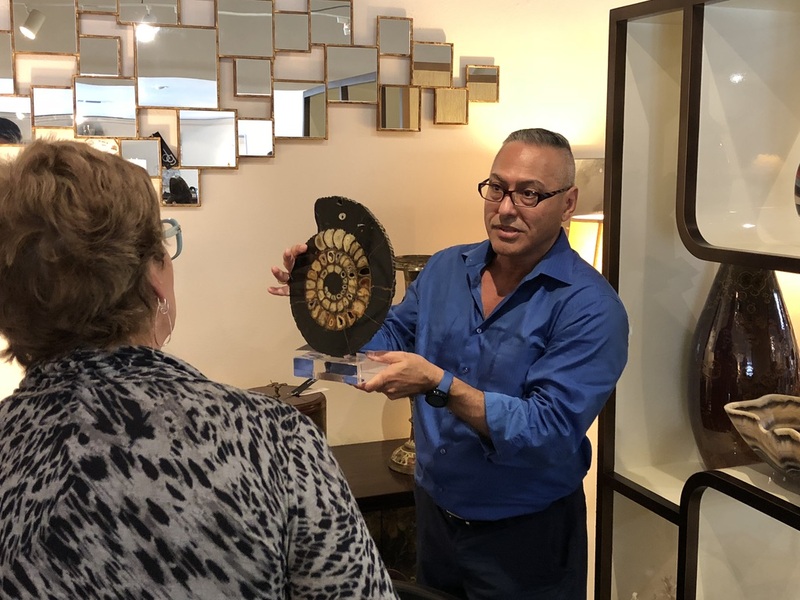 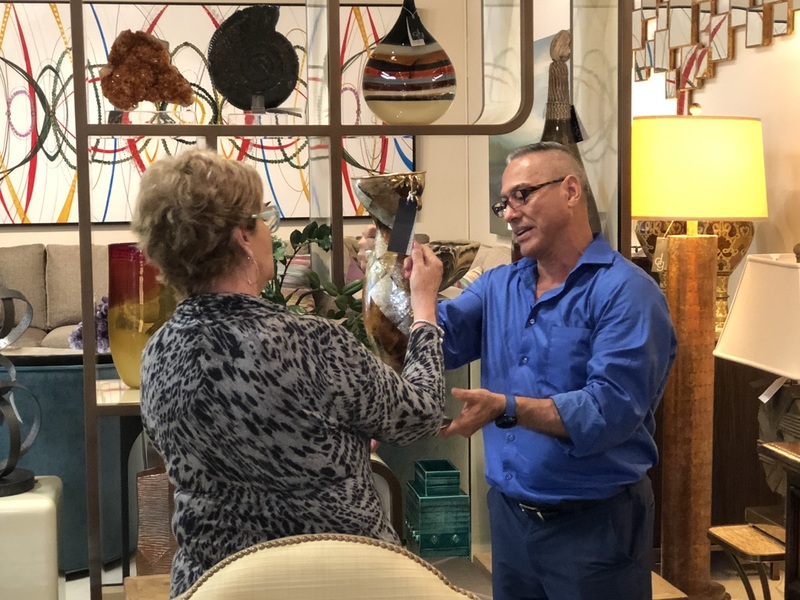 We were looking for rare, one-of-a-kind decorative pieces to be used in the client’s newly remodeled home. 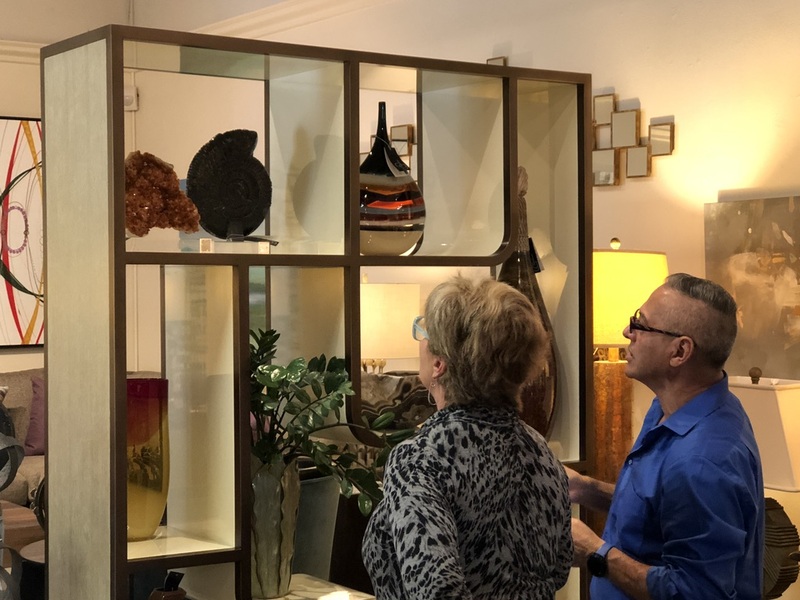 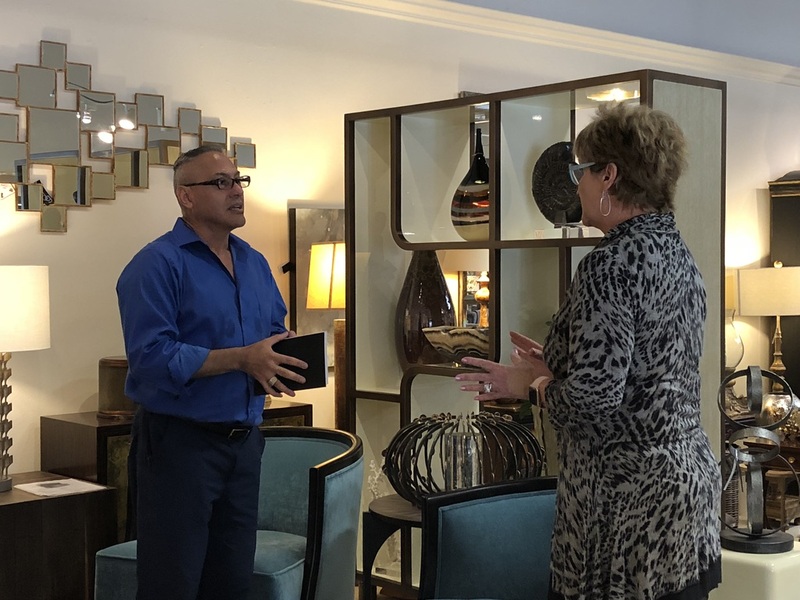 The client’s preference for the unique and unusual led us to Designer Gallery in San Diego, an exclusive design trade showroom available to interior design professionals and their clients. 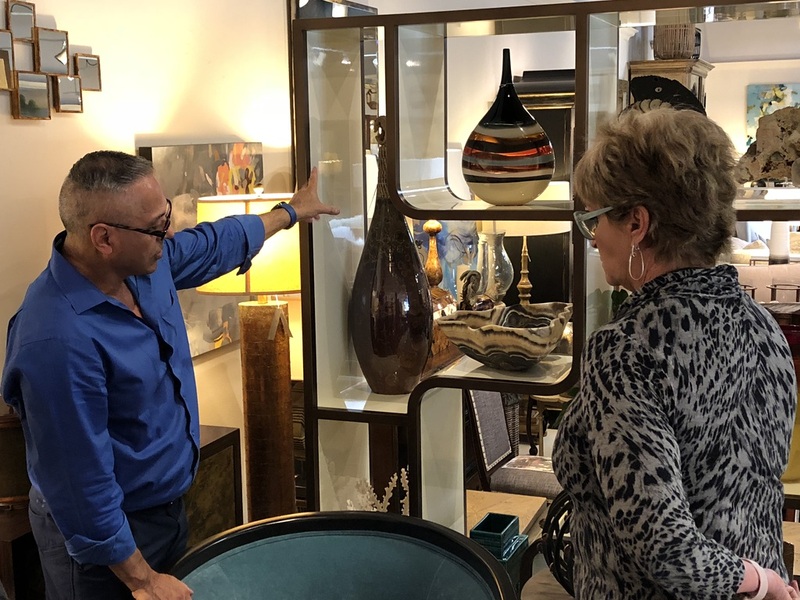 We knew Designer Gallery would have exactly what we were seeking, unique pieces that capture the refined costal vibe of La Jolla and the surrounding San Diego beach communities. 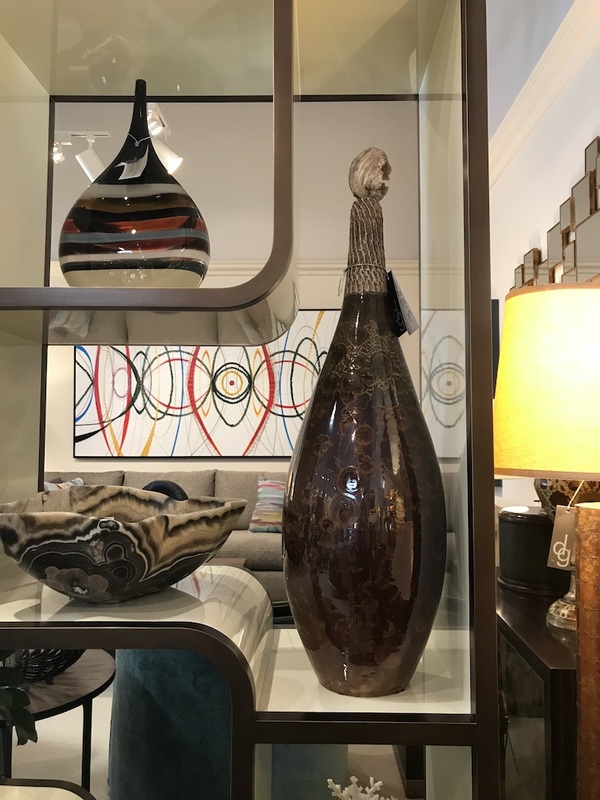 We prefer to incorporate large statement pieces that draw your eye in, instead of a collection of smaller pieces. 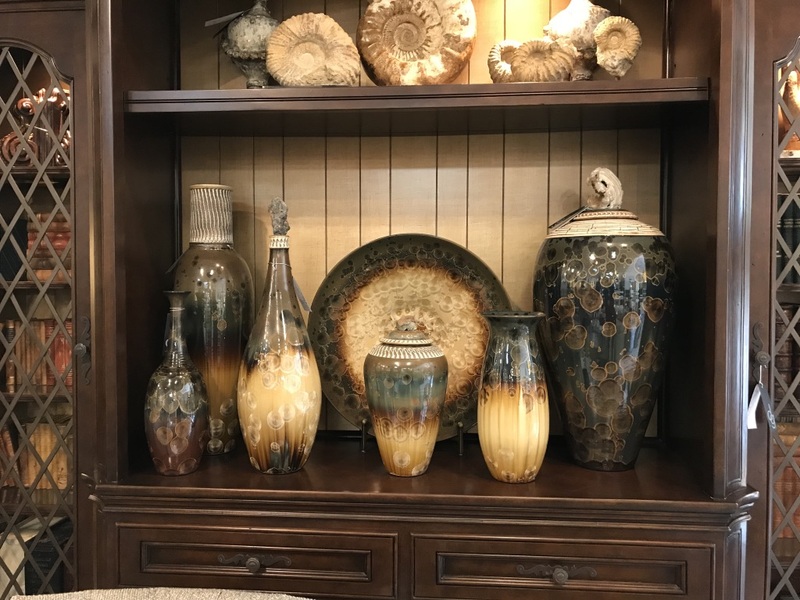 This will help to keep the home feeling modern, clean, and free from excessive clutter. 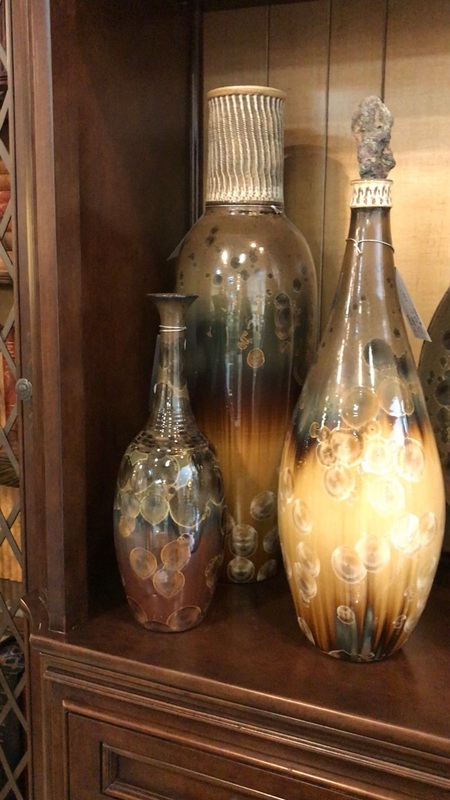 The most prized find of the day was a museum-quality, handblown, glass vessel that was adorned with paint infused with crystals, which explode at high temperatures and create a beautiful pattern on the exterior. 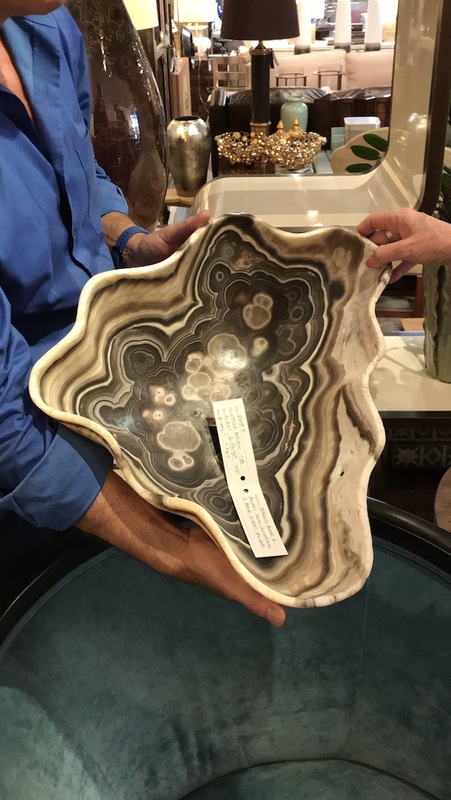 It was crowned with a very rare artifact, a 200-million year old shell that developed natural crystals inside. 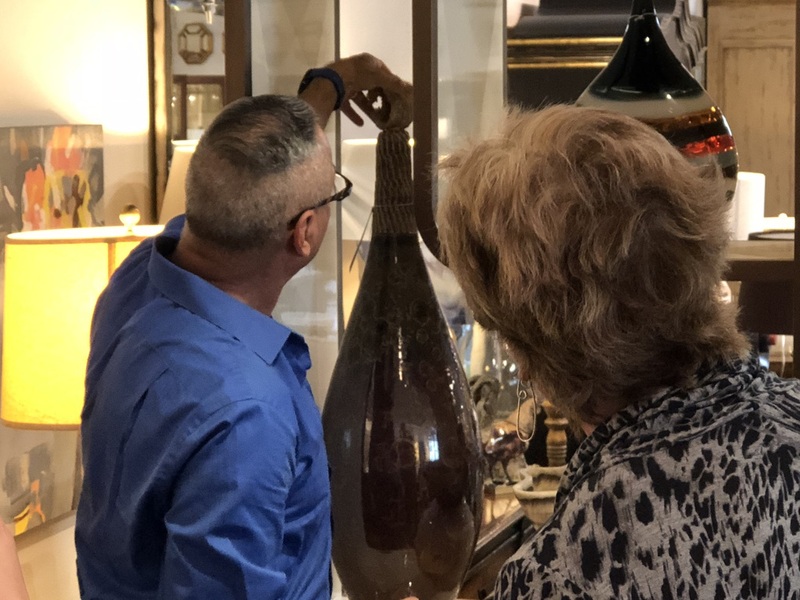 This extraordinary vessel is truly a unique work of art that anyone could appreciate, and it will look fabulous in our client’s newly remodeled La Jolla home.